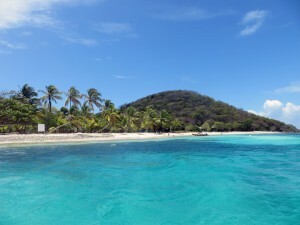 Our tour of the Grenadines resumes on Thursday, 3/27 with a relaxed downwind sail to the Tobago Cays National Marine Park, located 21 miles southeast of Mustique. After three days of relative calm, the easterly trade winds are making a comeback today. 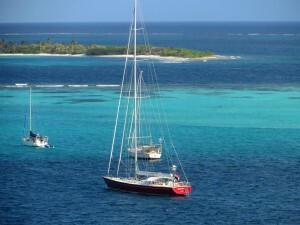 At 7:45 AM, the wind is already blowing at a steady 20 knots, making for a smooth and speedy broad reach past the tiny islands of Petit Mustique, Savan and Petit Canouan. 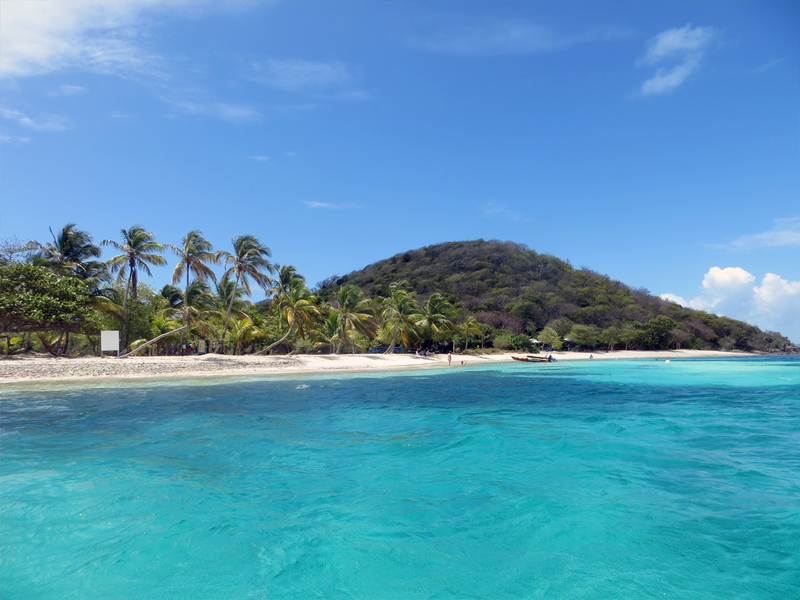 Leaving the island of Canouan to port, the autopilot is set to track a waypoint near the island of Mayreau, the northern gateway to Tobago Cays. One mile northeast of the northern tip of Mayreau are two large outcroppings known as Baleine Rocks, which are awash in foamy surf. 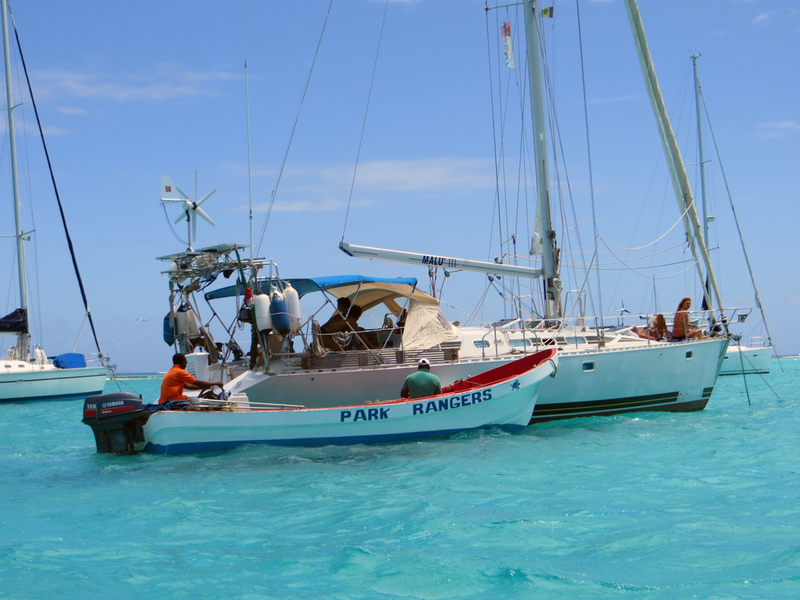 Once south of Baleine Rocks, a course to the southeast takes us into the Tobago Cays National Marine Park. Entering the park, the shallower water becomes iridescent turquoise, stunning in its intensity. 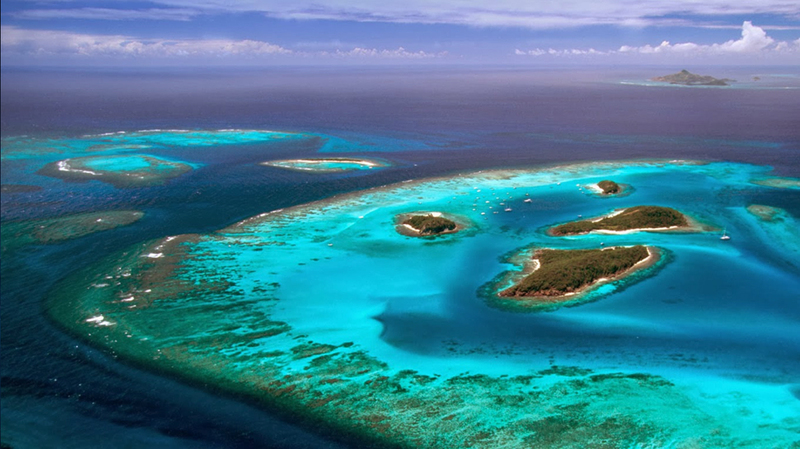 Within the park, four tiny islands (Petit Rameau, Petit Bateau, Baradel and Jamesby) are protected from the Atlantic Ocean by the 1.5 mile stretch of Horseshoe Reef located just a stone’s throw to the east. Ocean waves crash furiously on the reef, revealing its underwater presence. 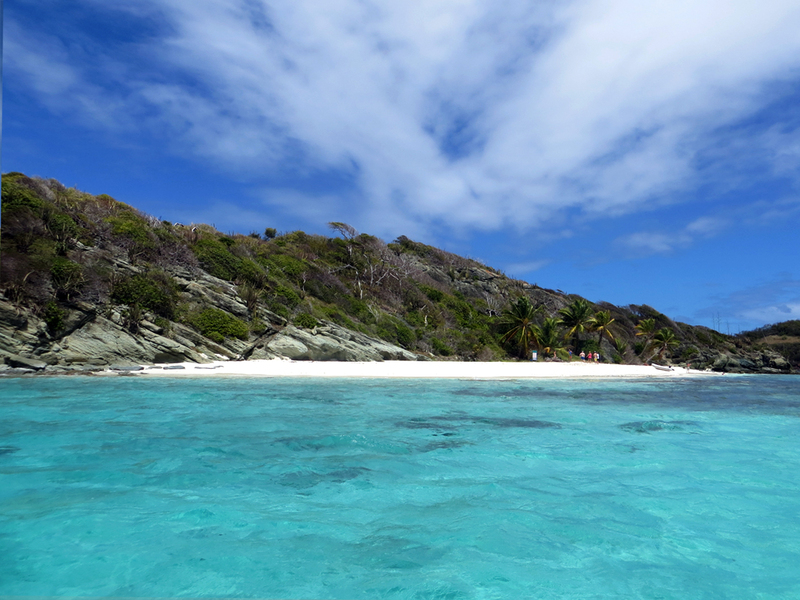 Beyond the reef lies Petit Tabac, a small sand spit dotted with palm trees. 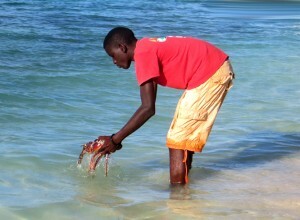 Beyond Petit Tabac lies the continent of Africa, 3000 miles to the east. Cutter Loose is anchored inside Horseshoe Reef on the windward side of Jamesby Island, where the wind driven chop is a scant one foot despite sustained easterly trade winds of 20 to 25 knots. 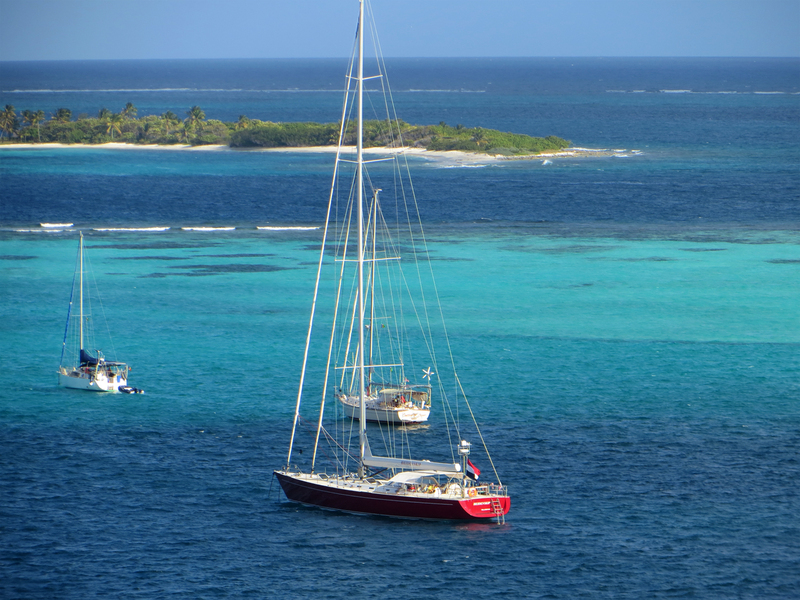 Having arrived at this, the crown jewel of the Grenadines, the pace aboard Cutter Loose slows to a standstill. The gradation of brilliant water colors alone provides sufficient entertainment to capture one’s attention for days on end. Gulls hover effortlessly in the sea breeze in search of sustenance, squawking and squealing with delight at the skirmish of baitfish being driven to the surface by predators. Even the constant change in weather is a fascinating sight to behold. Afternoon squalls appear on the distant eastern horizon, steadily approaching the Cays with their payload of convection, precipitation and enhanced wind. The residual byproducts of squalls are dramatic late afternoon cloud formations, spawning pink, peach, fiery red and orange sunsets. Being here is a total escape from life’s distractions. We are in touch and in tune with nature. Our days are filled with reading, listening to music, walking an assortment of beaches, swimming with the sea turtles in the Baradel Island turtle sanctuary, snorkeling on the reef and relaxing in the cockpit playing board games while gazing at our stunning surroundings. At night, the sky is filled to capacity with stars, planets and constellations. This is a magical place. 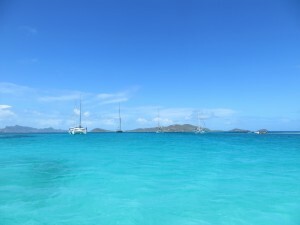 Every day, there is an influx and an exodus of cruising boats from the anchorage. Cutter Loose is one of 18 boats anchored here overnight. The Park Ranger visits each boat to collect the $10 EC ($3 USD) per person daily fee for the privilege of being in the Park. 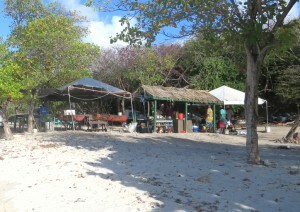 Each morning, Mr. Quality arrives in his pirogue bringing freshly baked baguettes from nearby Union Island. Other boat boys are kept busy guiding bareboat charterers to mooring balls. Boat boys here do not solicit business from cruising yachts unless requested. 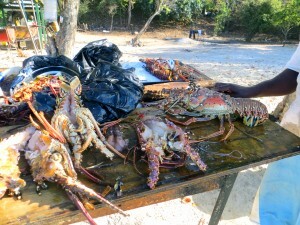 An occasional fisherman, however, stops alongside to offer a freshly caught fish. An enterprising young man has set up a gas grill in a shack on the beach where grilled spiny lobster is offered for lunch. 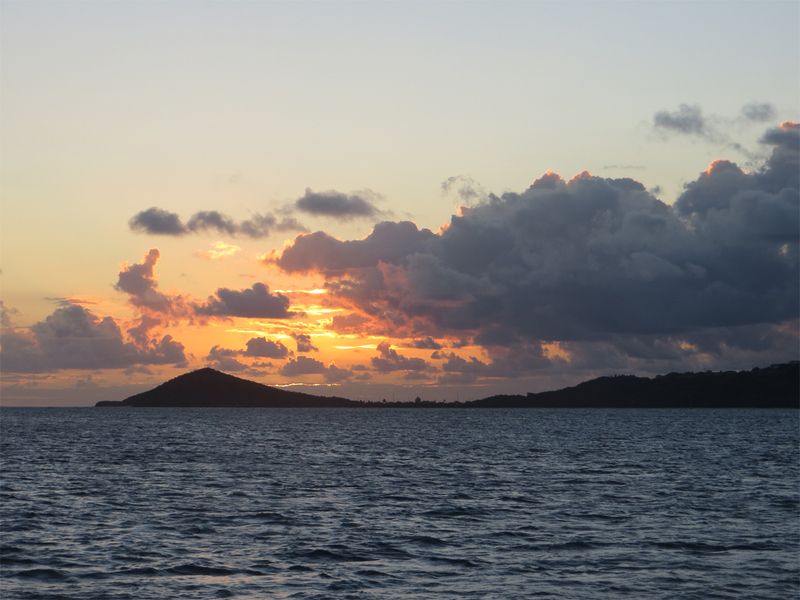 Most of this activity takes place in the narrow cut between the islands of Petit Rameau and Petit Bateau. 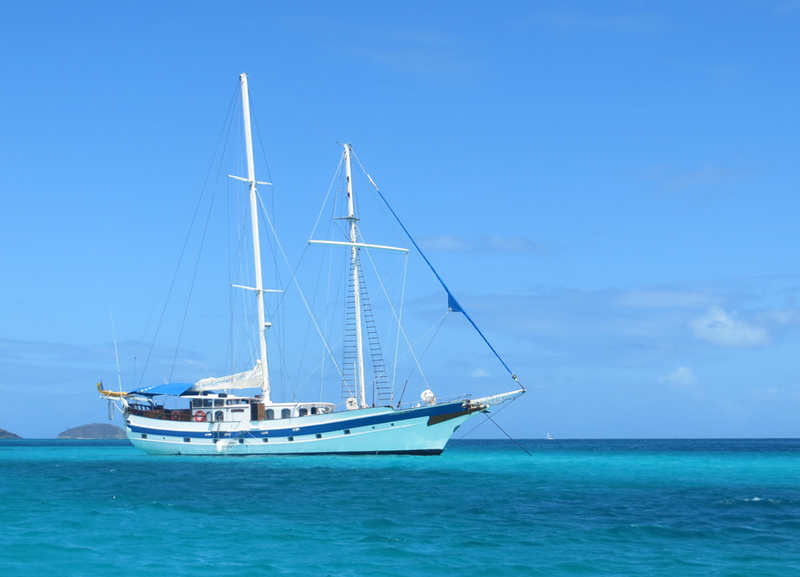 One of the beauties of remaining at anchor in a remote place for several days is the satisfaction that comes from the freedom of living self-sufficiently aboard Cutter Loose. Given the abundance of wind and sun here in the Cays, our energy needs are fulfilled almost entirely by solar panels and wind generator. There is sufficient wind and solar energy being generated to power the watermaker simultaneously with refrigeration and other boat systems. The use of the diesel generator is limited to about 30 minutes each day to heat water for showers and dishwashing. At 7 AM each morning, the ship’s batteries are nearly fully charged, thanks to the D400 wind generator that never sleeps. 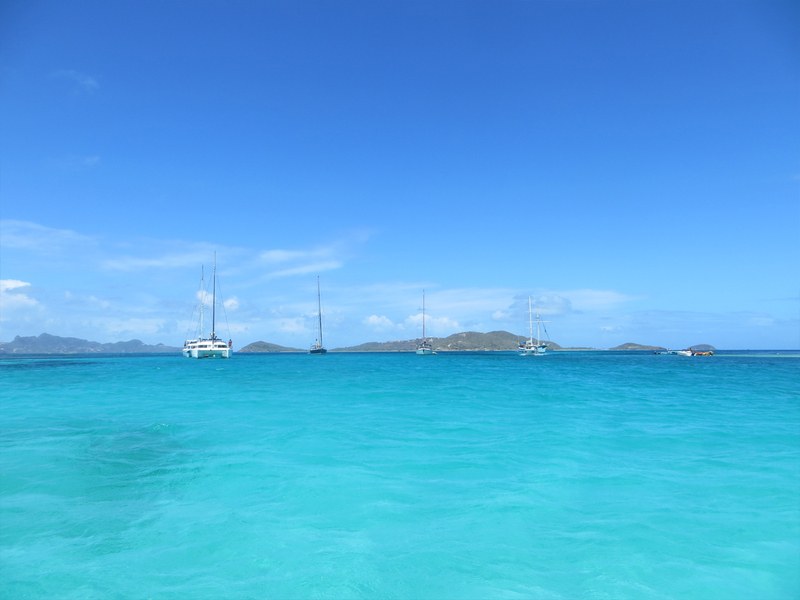 After four relaxing days at anchor in the Tobago Cays, it is time to bid farewell to this lovely setting. On Monday, 3/31, Cutter Loose will set sail for to Union Island.